Maureen was born in 1942 and lived with her family in Corner Brook, NL, until the death of her mother in 1997. 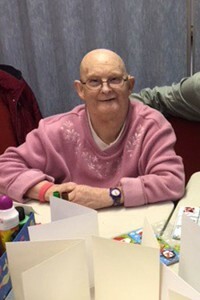 Affectionately known as ‘Tiny’, Maureen moved to Nova Scotia with her sister, Babs, and was very involved in the St. Margaret’s Bay Community Living Association group activities which included painting. In 2014, Maureen went to live with her other sister in St. John’s NL. She decided at that time that she would like to be called by her given name. To old friends, of whom she has many, she is still ‘Tiny’, the gregarious, generous, helpful, hospitable person who always makes people feel welcome in her home and who never forgets someone she has met before. Maureen’s other interests are watching CBC TV news and the home improvement shows, and playing her music. She has her own record player and her favourites are traditional Newfoundland and Scottish music. She is an inspiration to us all. Maureen loves working with others – especially her nephew, Michael. During a L’Arche Avalon Craft Morning they worked together on several cards. 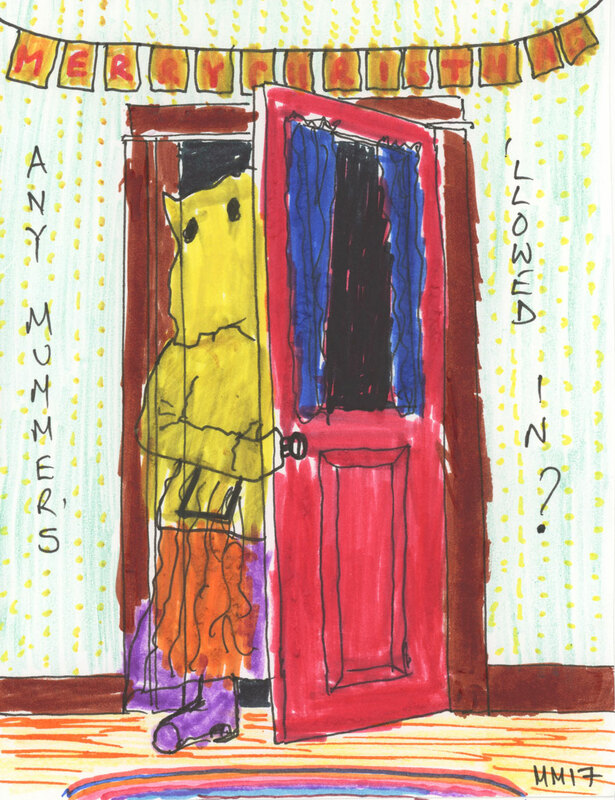 The ‘Any Mummers ‘llowed in?’ card depicts the Christmas Mummers whose music, costumes and visits Maureen loves so much.